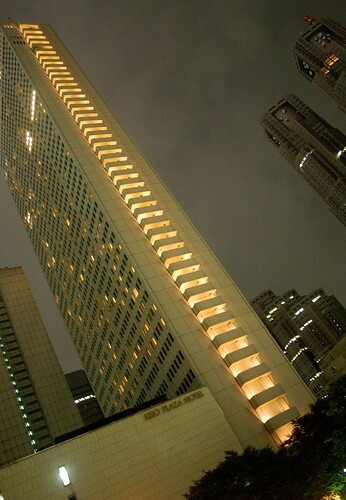 Keio Plaza Hotel in Shinjuku is one of the very reputable hotels in Tokyo. 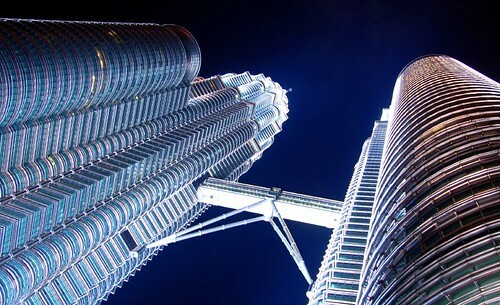 Because of it's huge capacity on top, many tourists stay there. 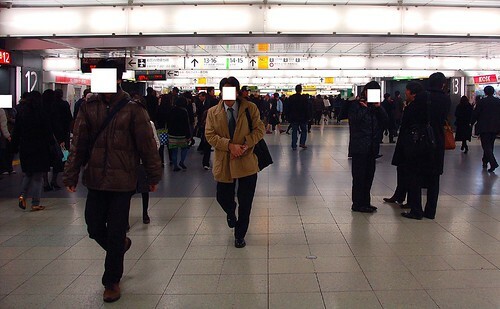 I'll feature the way to there from inside JR Shinjuku Station via West exit. 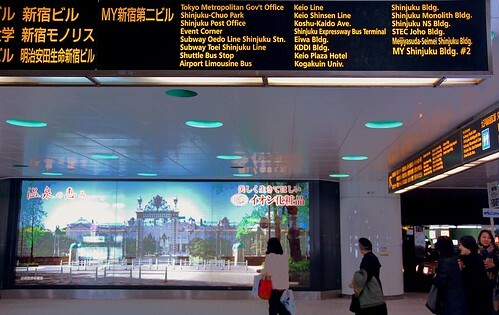 For those who head to Keio Plaza Shinjuku from Narita Airport, I'd also recommend using the limousine bus besides the Narita Express. According to a rep at Limousine Bus company, it's not always the case the duration from NRT to Keio Plaza exceeds 2 hours. 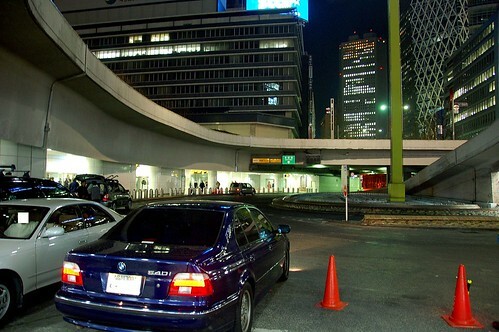 The convenience that you can directly get to the hotel from the airport is hard to beat in one hand. The west exit is located on the middle right on the map. 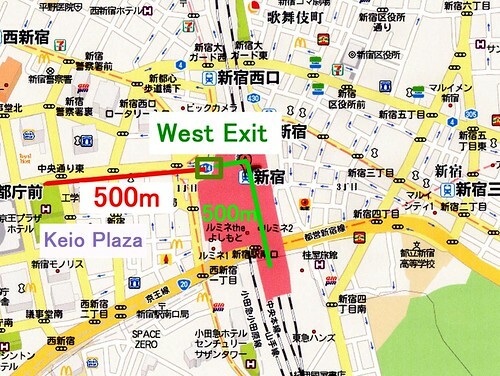 The red line indicates the route from the Shinjuku Station West Exit. 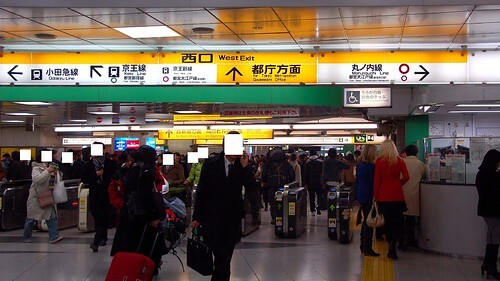 The green line indicates the route from the Narita Express platform #5 and 6 to the west exit. 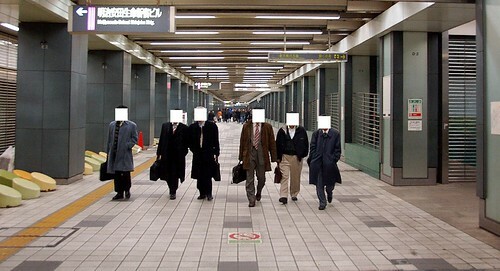 Walk down the hallway located on the first right on the Shinjuku Station map toward the west gate. 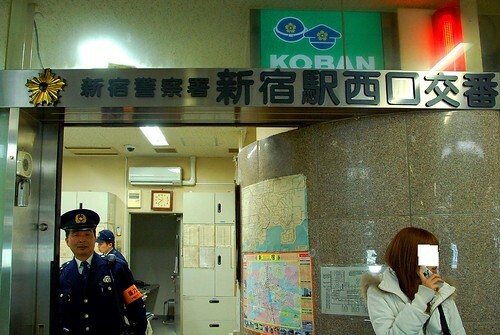 If you're not confident on how to get to the hotel, inquire the police officer of the way. Even though they don't speak English, with only the word of your destination they will understand and assist you. Keep walking on the left side of the roundabout. In case your luggage is heavy, and you don't feel like walking anymore, catch a taxi from the rank on the right of this photo. It's slightly less than 10 minutes walk from here. 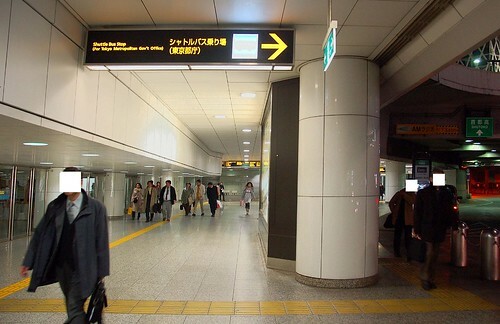 Walk down until you get out of this underground walkway, then you will soon spot Keio Plaza on your left. This is so useful! thanks!